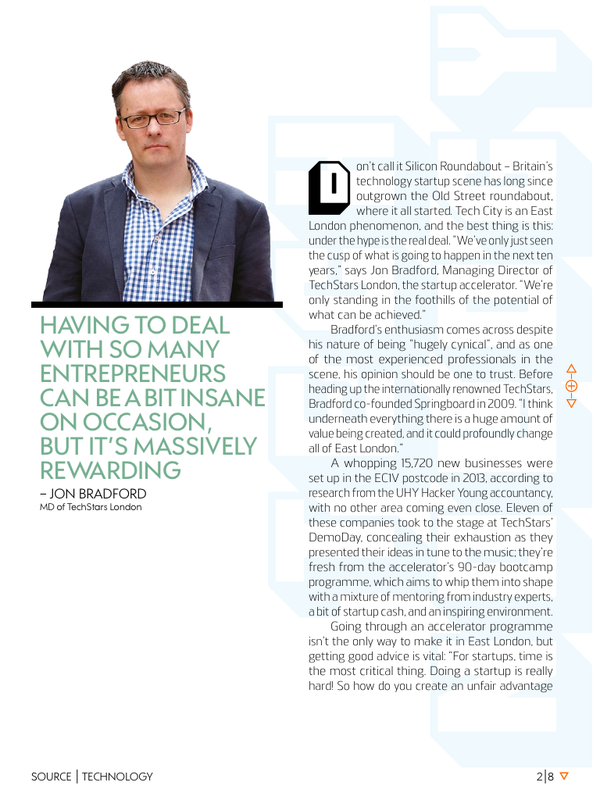 Going through an accelerator programme isn’t the only way to make it in East London, but getting good advice is vital: “For startups, time is the most critical thing. Doing a startup is really hard! So how do you create an unfair advantage to yourself?” Access to funding is one factor, says Bradford, but really, it’s all about the network. But is there a formula to building a startup? These factors have traditionally been what gave Silicon Valley such an edge, but as the London tech scene is growing up, this is starting to change: “A startup will ordinarily take seven years to go from start to end,” says Bradford, excitedly pointing out that London’s first seven-year cycle is coming around right now. “This is when life becomes really interesting, because you can encourage those [first founders] to come back and do it again.” Or, those first founders may choose to become investment angels: “There are more entrepreneurs now out there writing angel cheques,” says Bradford, often writing smaller cheques to more people, and sticking around to mentor. Not only is Fluency an interesting idea – a crowd-work marketplace teaching digital skills to people and pairing them with companies – but it’s also a force for social good. Which of these motivators came first is hard to say for co-founder Sinead Mac Manus. Originally from Brazil, Lucca considers herself a Londoner after seven years in the capital. 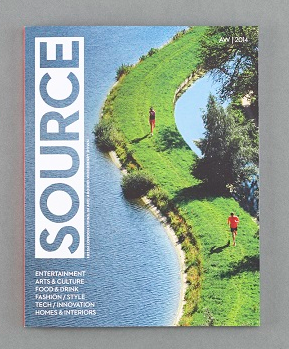 “The experimental culture is everywhere in East London, from the bars and cafés to the startup hubs and events. 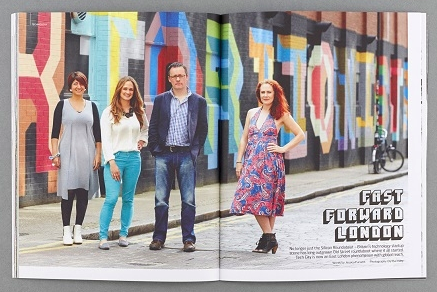 It’s even in the way people express themselves,” says Lucca, whose offices off Hoxton Square include a creative lab. The space is now being transformed into a showroom, so customers can come and try out the pieces. Running a startup means you have terrible work-life balance, says Michelle Songy – but this is no bad thing. The co-founder of Spleat, the mobile payment app that provides a simple way to split a restaurant bill, is having a great time, especially now as she lives within walking distance of her Old Street office. 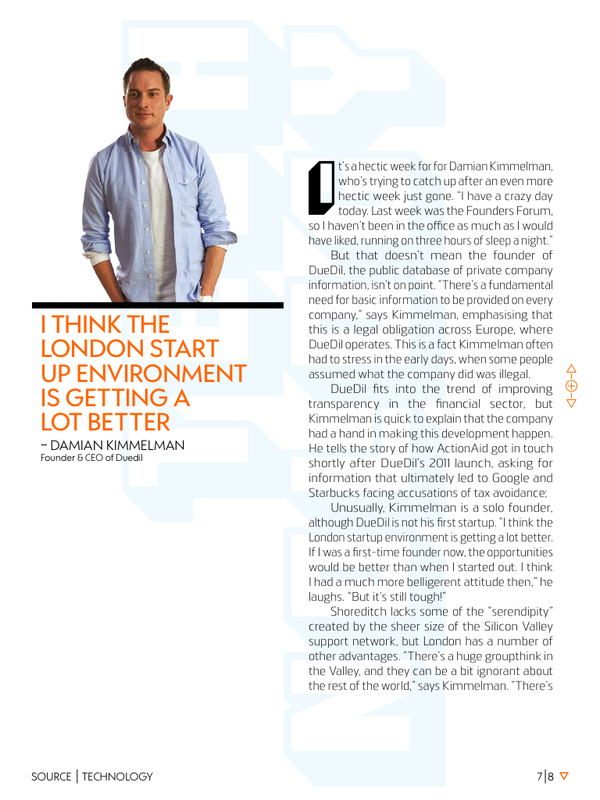 But that doesn’t mean the founder of DueDil, the public database of private company information, isn’t on point. “There’s a fundamental need for basic information to be provided on every company,” says Kimmelman, emphasising that this is a legal obligation across Europe, where DueDil operates. This is a fact Kimmelman often had to stress in the early days, when some people assumed what the company did was illegal. This may be well on its way to happening, as Unruly seems to have nailed something most marketers are desperate to do: making content go viral. “We’ve tracked 430 billion video views, and our data set helps brands crack the code on social video sharing,” says Wood. The company has been building its database since 2006, taking into account things like emotional responses and social motivations. The result: Unruly can now predict how shareable a video will be with 80% accuracy. 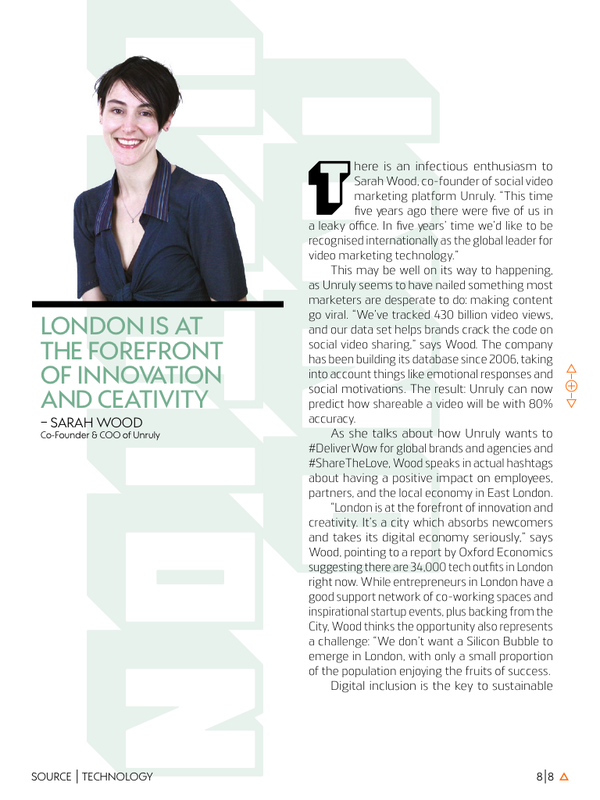 As she talks about how Unruly wants to #DeliverWow for global brands and agencies and #ShareTheLove, Wood speaks in actual hastags about having a positive impact on employees, partners, and the local economy in East London. 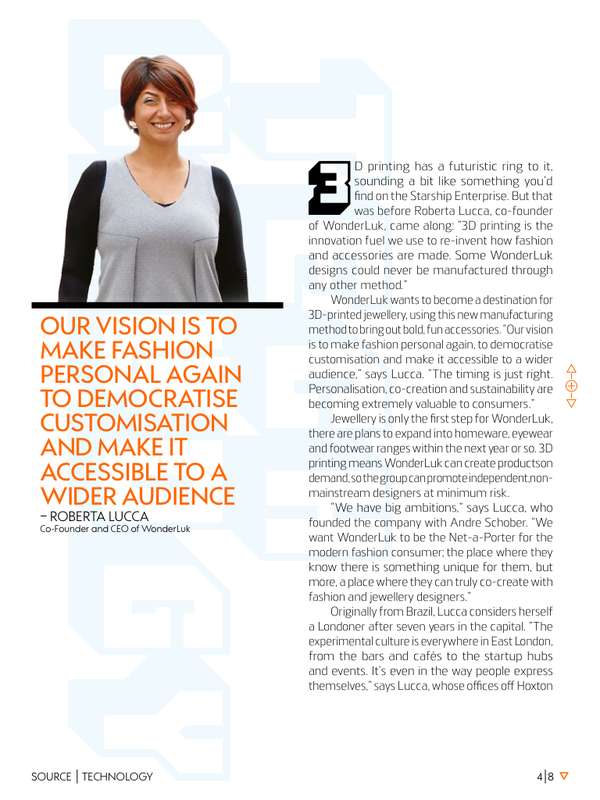 “London is at the forefront of innovation and creativity. It’s a city which absorbs newcomers and takes its digital economy seriously,” says Wood, pointing to a report by Oxford Economics suggesting there are 34,000 tech outfits in London right now. Posted on 11/27/2014 by Jess. 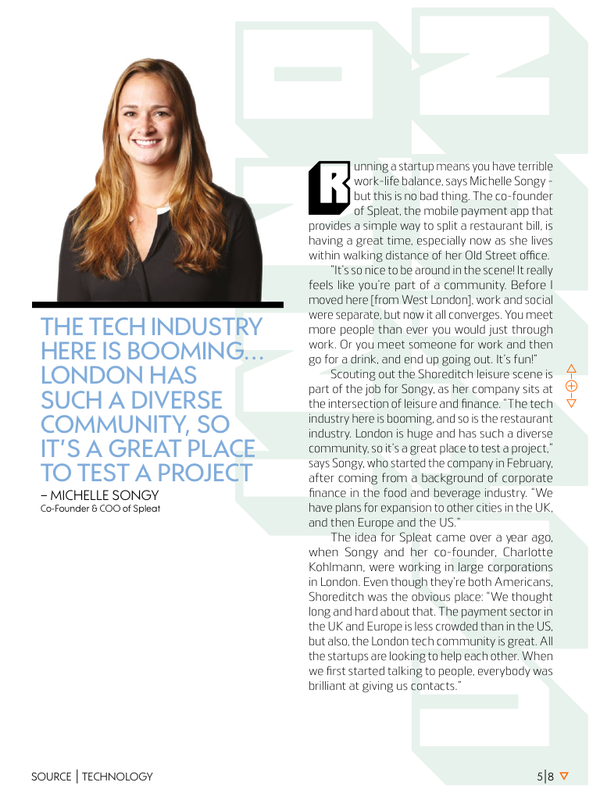 This entry was posted in Technology features and tagged london, shoreditch, source magazine, startups, technology. Bookmark the permalink.